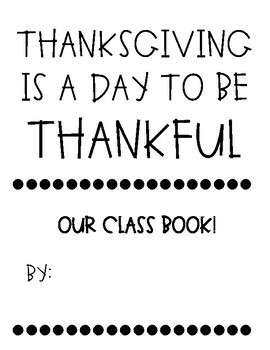 This class book is perfect for Thanksgiving! 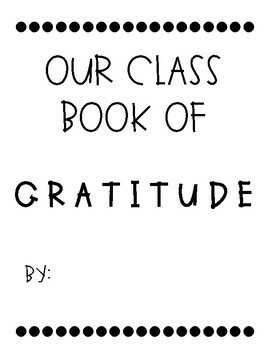 Each kid gets a printed "inside page" for the book. Once they complete their page they turn it in to be bound together as a book. 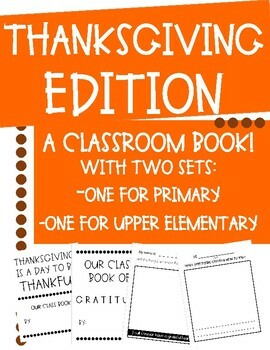 Print the cover page and the last page and put it together to read as a class! 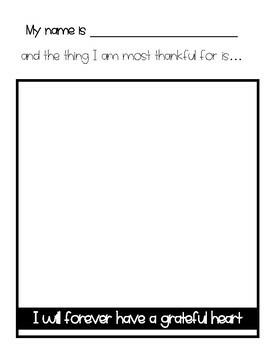 This is a fun way to talk about Thanksgiving, what it means to be grateful, and create classroom community through being authors and illustrators together!